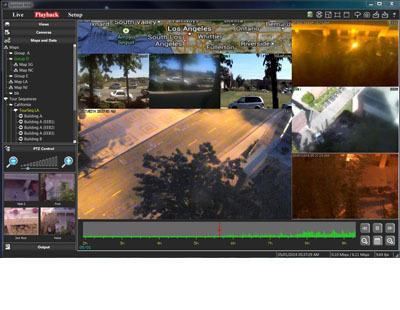 Sentinel MVETM high-performance software transmits both real-time video and data from wireless and mobile devices as it happens, to those who need to know such as security personnel, service employees and managers, suppliers, law enforcement, EMS and military. 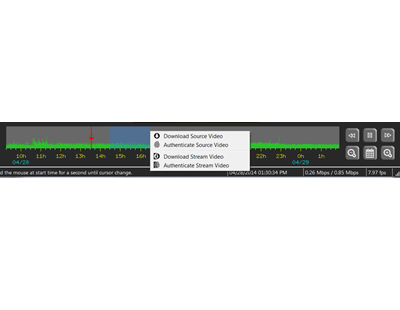 Sentinel MVETM software is "Network Aware". 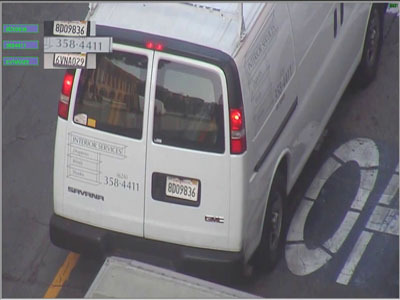 It creates a persistent and secure connection from server located in the vehicle, on a pole to viewers over narrow or fluctuating bandwidths, including changes of cell towers and IP addresses. 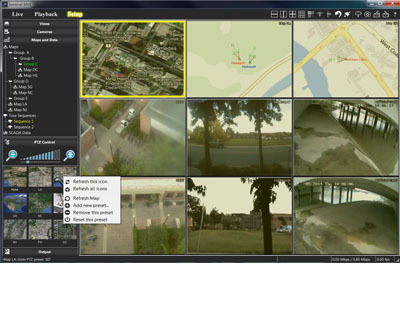 Sentinel MVETM software is "Situation Aware". 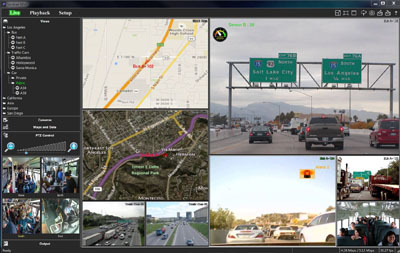 It displays real time GPS mobile camera tracking locations in context of user selected maps and permits real time data display such as SCADA and license plate number detected. 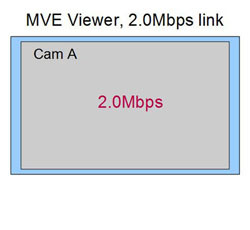 Sentinel MVETM Viewer computes the number of visible pixels for each camera videos on the screen and requests the appropriate resolution from Sentinel MVETM VMS software. This is done dynamically when window resize or view layout changes. 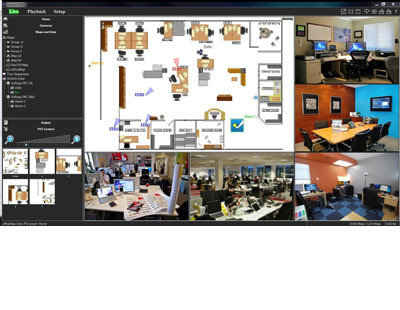 Unlike anything on the market, there is no need to preset camera resolutions for each layout in configuration. 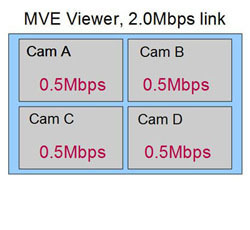 This improves network cost efficiency since only the required video bitrate is streaming to the end user. 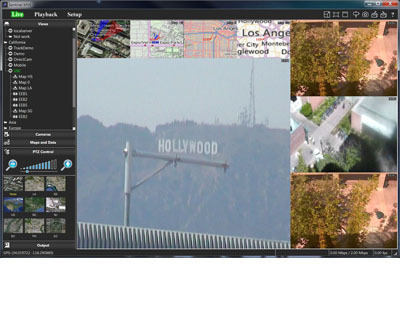 Video can be displayed with choice of geospatial maps showing camera GPS locations. 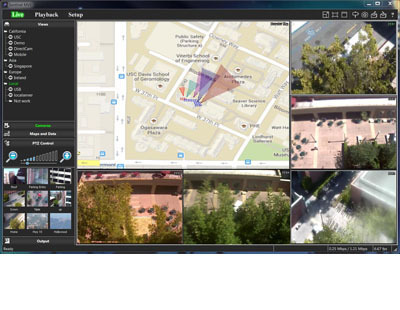 This enables monitoring of large numbers of mobile cameras. 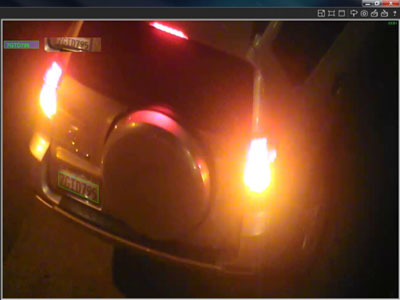 Live context shows camera orientation when viewers get update PTZ orientation from Sentinel MVETM VMS. Any USB GPS device certified with NMEA 0183 format is supported. 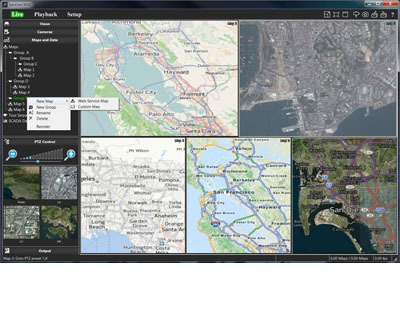 Users can set one or more web maps to track different mobile vehicles. 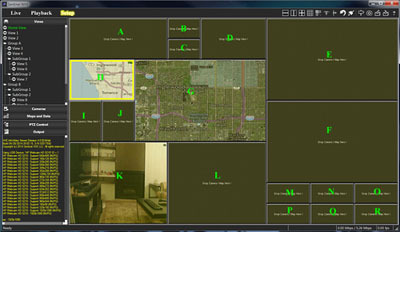 Sentinel MVETM Viewer supports customized user map such as an interior map to show cameras location/orientation. Camera icon can be customized for each camera and view. More than a hundred raster image formats including geo-referenced image such as GeoTIFF are supported. Sentinel proprietary texture management permits huge map of any size to load on budget laptop. 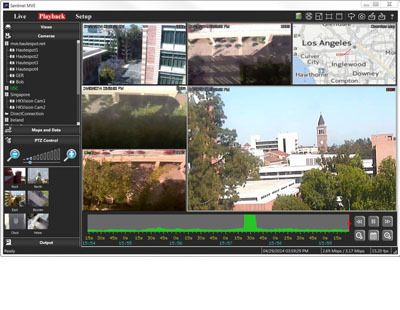 Instant playback allows operators to replay cameras in seconds anywhere in the world when combine with Sentinel MVETM VMS. Playback motion timeline allows easy locating event occurs. Users highlight the timeline to download video as mp4 in viewer or use batch video download command. 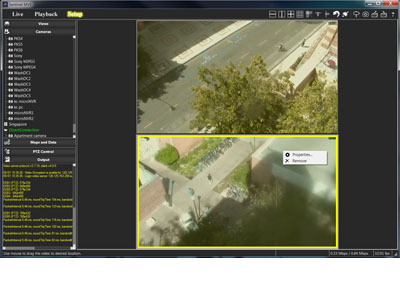 Sentinel MVETM Viewer supports simultaneous display of live and record cameras in a single view. 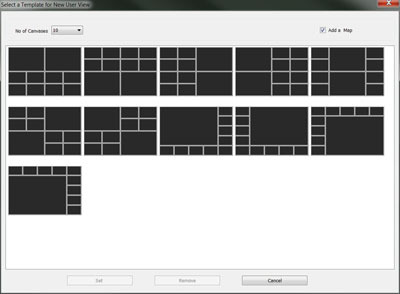 Layout customization allows user partition views for camera videos/maps placement in any way they seem fit. User custom layout can add to view template library for reuse in other views. To get started there are more than 160 professional system view templates to choose from. 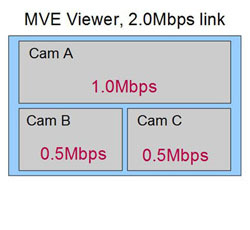 AVE supports overlay of industrial SCADA data on web/user map or camera video. 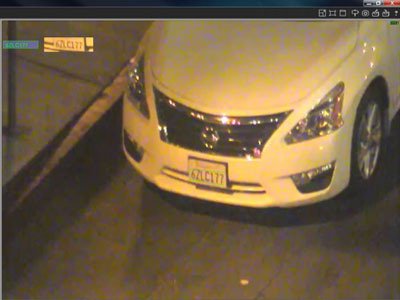 Data/Alarm overlays can be per PTZ preset or always on a particular video location. 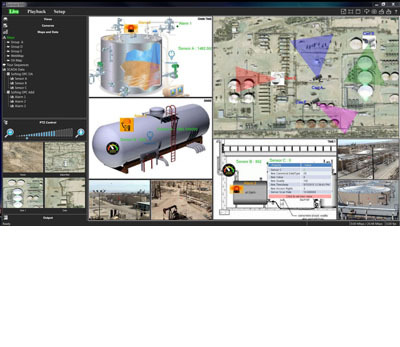 This greatly enhances the information presented to the end user in surveillance to make informed decision in real time. Both OPC DA and OPC A&E servers are supported. 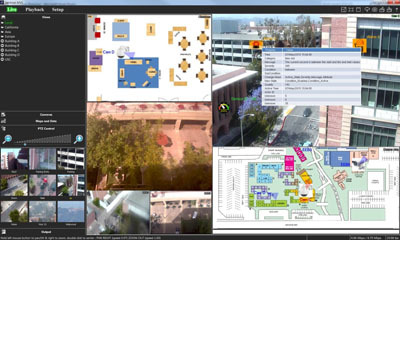 When alarm/event occurs, Sentinel MVETM Viewer will switch view and change camera PTZ preset associate with the alarm. Besides, map will zoom to the flashing data/alarm icon. 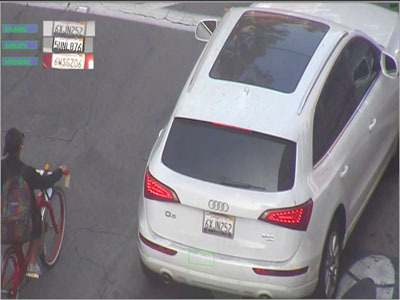 MVETM software assists law enforcement by recognizes multiple license plates simultaneously and output the license plate number and image on screen and in a separate directory for review.